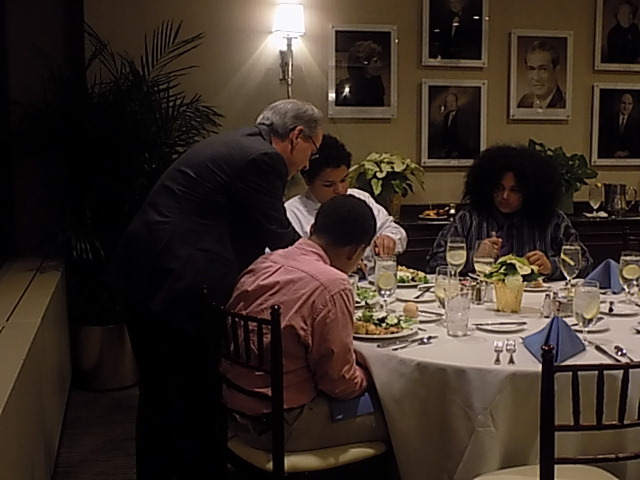 Through TouchPoint - Baltimore’s “Skills for Success” mentorship program, Harlem Lacrosse - Baltimore’s 8th grade student-athletes from James McHenry have engaged in monthly mentorship dinners with some of Baltimore’s most influential business leaders, including Tim Regan, the President and CEO of Whiting-Turner; Jeffrey Hargrave, Founder and President of Mahogany, Inc.; Joseph T. Jones, Founder and CEO of the Center for Urban Families (CFUF); Brian Lyght, COO of CFUF; Robert Wallace, Founder, CEO, and President of BITHGROUP Technologies; and Calvin Butler, CEO of Baltimore Gas and Electric Company (BGE). TouchPoint Baltimore’s program, coordinated by Brigid Truitt, has further allowed Harlem Lacrosse players to share a dinner and a discussion about higher education with Dr. Jay Perman, President of University of Maryland, Baltimore at his school’s campus; the privilege of an impromptu meeting and life-reflection with Eddie C. Brown, a Baltimore-based entrepreneur, philanthropist, and Founder and President of Brown Capital Management at our TouchPoint Mentor’s holiday dinner party, hosted at the Center Club, a private dinner club overlooking the Baltimore Harbor; and the opportunity to receive an exclusive tour of the Whiting-Turner offices, led by company CEO Mr. Regan and a hand-picked team of engineers and staff members. 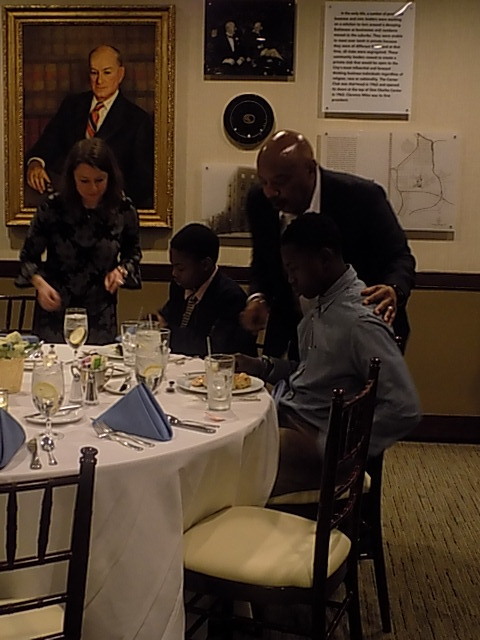 With mentorship-dinner planned for the remainder of the school year, this has been one of the most formative and valuable opportunities for our 8th grade athletes as the prepare their transitions to high school.